Edinburgh City have announced that Jim Brown will be the club’s chairman effective immediately. Brown, 56, joined the Meadowbank club’s board last summer after their promotion to the SPFL from the Lowland League. He had previously coached the City Under-20 side and had been involved with City’s youth section for 11 years, with some of that time spent as chairman. Having initially joined as finance director, Brown replaces Jim Lumsden as chairman. Brown thanked predecessor Lumsden for his hard work and praised the success enjoyed under his stewardship. “I’m delighted and very honoured to accept this position,” said Brown. 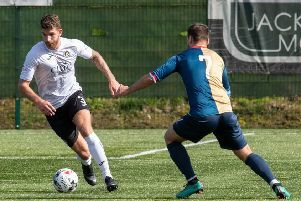 “I’m extremely grateful to Jim Lumsden for all of his hard work over the past four years during which time, of course, the club won two Lowland League titles and achieved a historic promotion to the Scottish Professional Football League.